Your wedding day is a once-in-a-lifetime moment, which typically doesn’t allow for do-overs! With everything there is to stress about leading up to your big day the last thing you’ll want is additional stress related to your entertainment. 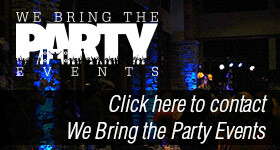 We Bring the Party Events has had the honor and privilege of being a part of nearly 150 weddings to date. Trust us to make sure you’ll have one less thing to be worried about! Below is a complete list of our wedding specific services. 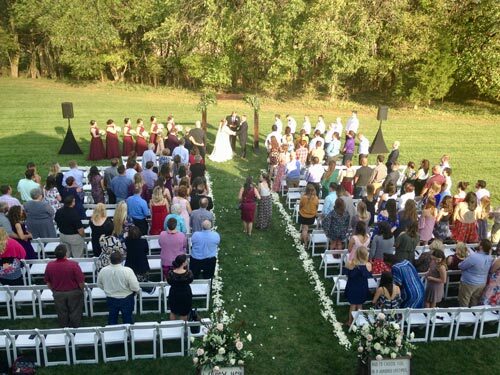 If you are having your wedding outdoors, or in a location that is not typically used for ceremonies, you’ll need assistance with your ceremony sound. Our Ceremony service includes a stand-alone sound system. We do this so there is no need to move any equipment around your guests. 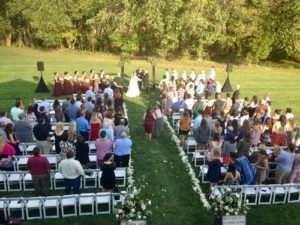 The system is designed specifically for ceremonies and includes a wireless microphone for your officiant. We can play all of your music or accommodate musicians. Whatever your preference, we have you covered! 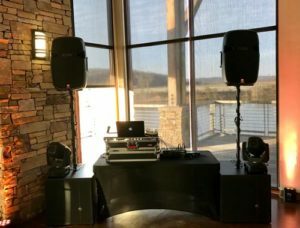 As the purveyors of the party in Middle Tennessee and Southern Kentucky We Bring the Party Events has a long history of successfully entertaining groups of all sizes. Our music catalog spans the decades and covers most genres of music. All DJ events include a sound system scaled to your venue and group size, including no less than 2 – 18” subwoofers, 2 – 15” powered tops, dance floor lighting, and a wireless mic. All of our music is clean and/or edited to ensure the satisfaction all who attend! 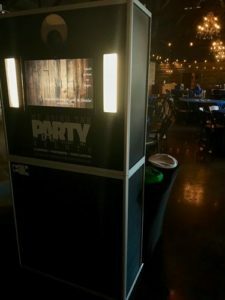 We Bring the Party Events’ photobooth is the most popular spot, in any room, that it is setup. If you’re looking to add something fun for your guests to do, while they enjoy their evening, look no further. Our 6’ tall freestanding booth can accommodate groups up to 10-12 people per session and you get pictures printed on the spot. We include a table full or props and an attendant with every rental. 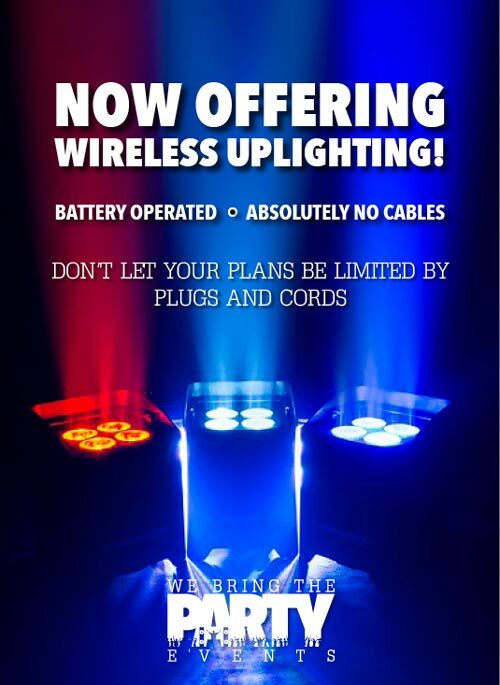 We Bring the Party Events offers a multitude of lighting options for your event. Our uplighting adds elegance to any space while our monogram offers a touch of personalization. 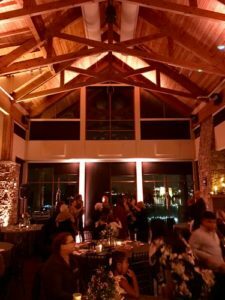 Every event is different so be sure to let us know what your lighting needs may be!